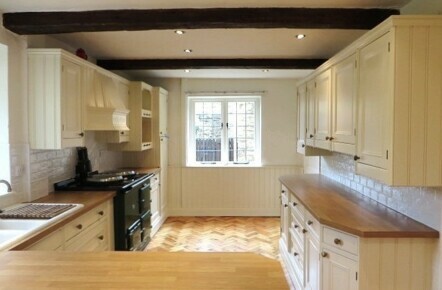 For this hand painted kitchen I again travelled to the lovely village of Linton in West Yorkshire. 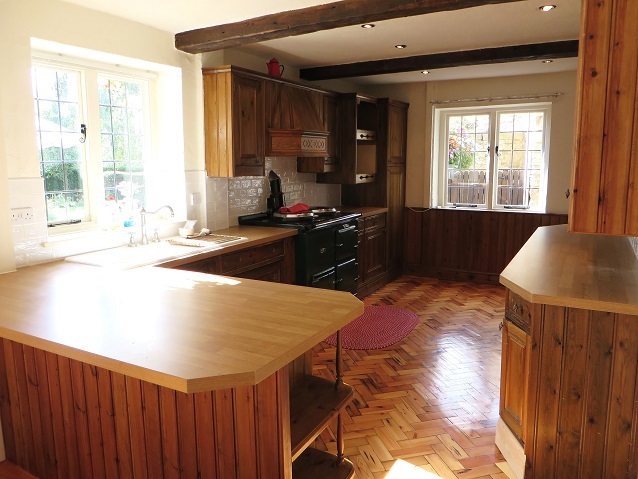 This bespoke pine kitchen had been made and installed by local kitchen company ‘Jeremy Wood‘ nearly 20 years ago. 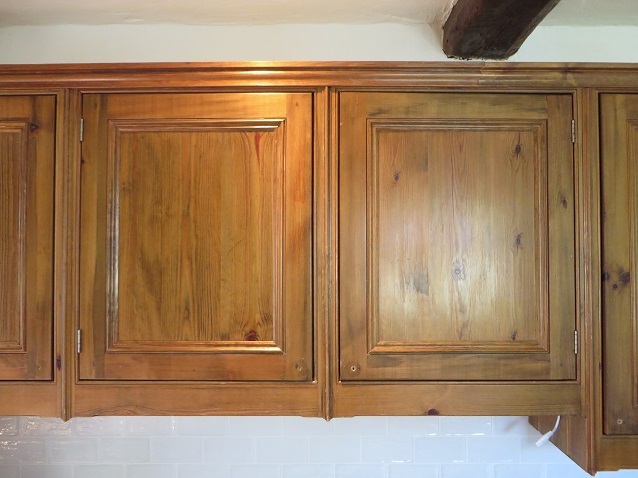 It was very ‘knotty’ and had been finished using a dark stain/varnish which the clients now wanted to update so the room felt much lighter and brighter. The room itself doesn’t get a lot of natural light so the dark knotty pine was really dominating the space, making it feel a bit dated and gloomy. 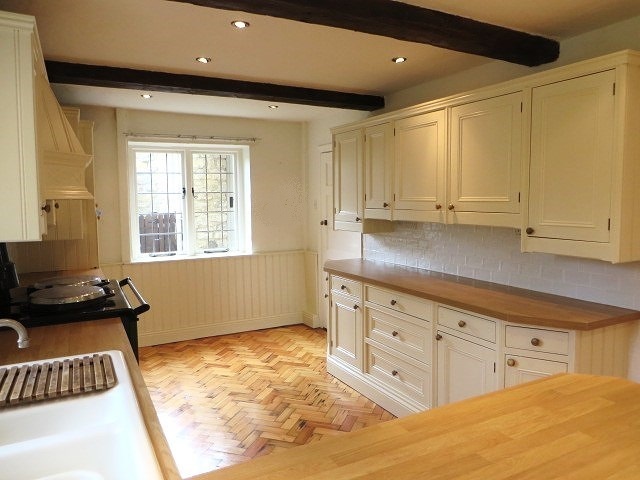 During the consultation we looked at various colours and after a couple of samples had been done the colour decided upon was The Little Greene Company’s ‘Stock Mid’. 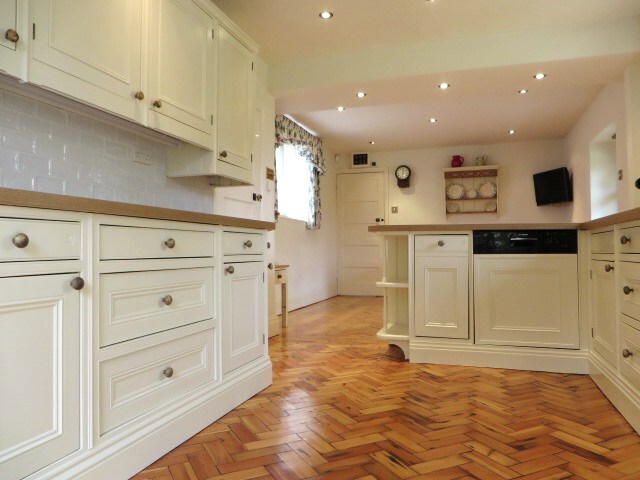 ‘Stock Mid’ worked really well as it was warm without being too yellow or pink and blended beautifully with the new work tops the client had had installed. 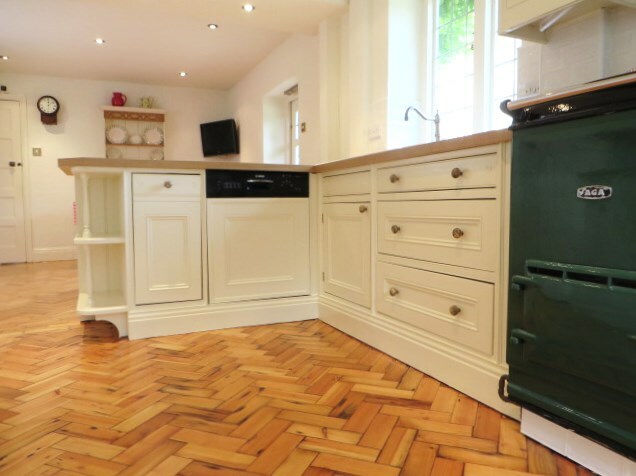 Before I began the floor had also been sanded back and re-treated, bringing out all the natural glory of the original parquet flooring. 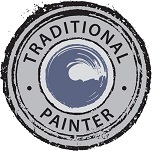 ” I can thoroughly recommend Lee Simone as a very talented decorative painter. 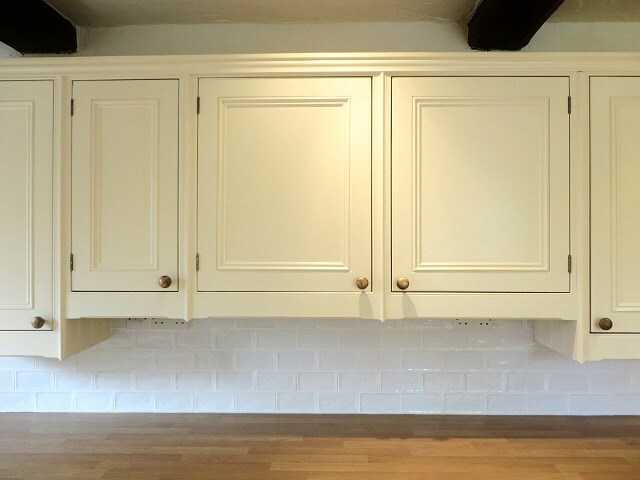 He hand painted our pine kitchen units and we are delighted with the quality of the finish. 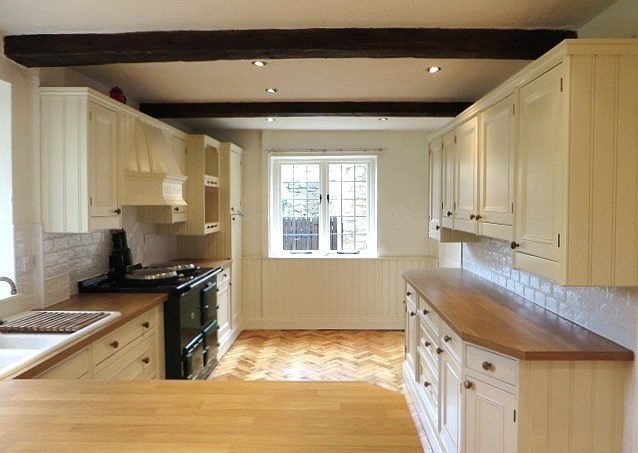 Lee was totally professional throughout, from the advice he gave at the outset to the completion of the job.. 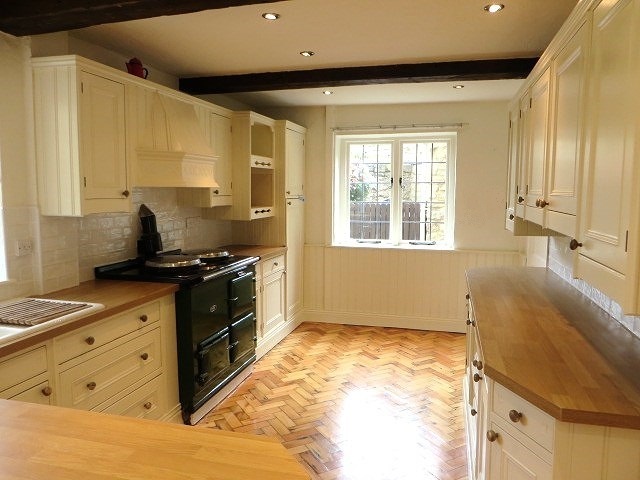 He is very tidy and he worked within the agreed timetable, starting and finishing on the dates originally specified. 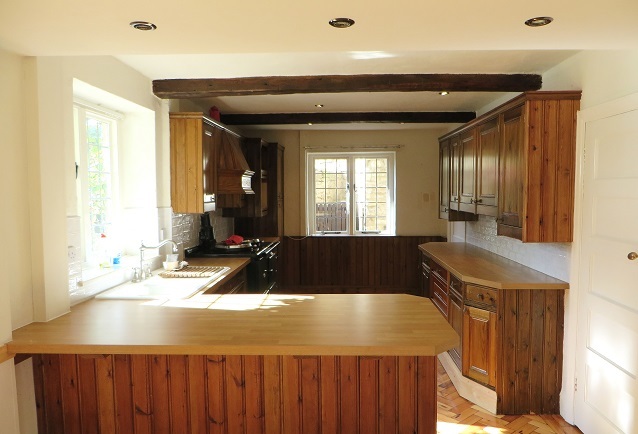 Lee works throughout Yorkshire and is within easy reach for projects in Harrogate, Leeds, York, Pontefract, Donscater, Wetherby, Ripon, Bradford, Ilkley and the surrounding areas.